Poinsettias are always one of my favorite holiday images to incorporate into projects. They are just so beautiful and festive for the season! This new set allows you to use multiple layers to build stunning poinsettias with a hand-painted look. With two sizes of blooms to work with, you will be able to build patterns, layer them for dimension and so much more! Lexi Daly is brining you a fun mistletoe set, perfect for wishing those near and dear a "merry kiss-mas"! 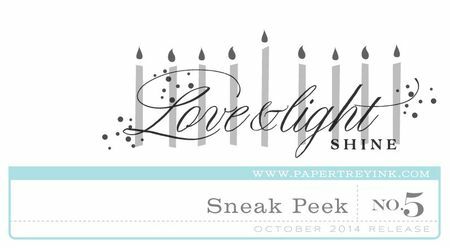 You will love all of the detail she has incorporated into this set along with the sweet sentiments! 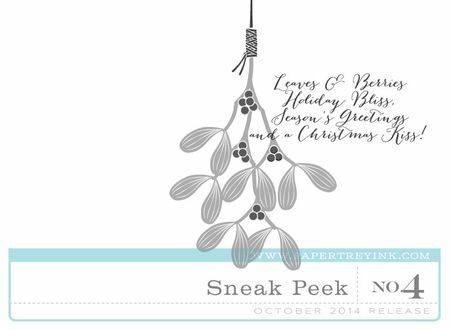 There are even a variey of bows and other images to use to "hang" your mistletoe on your card! This new Hanukkah mini set is definitely not short on style, and even though it may be small it offers tons of design options for fabulous and festive projects! A new take on the Star of David along with this large scripty sentiment and candles to create custom menorah accents can all be at your fingetips to inspire you this season! 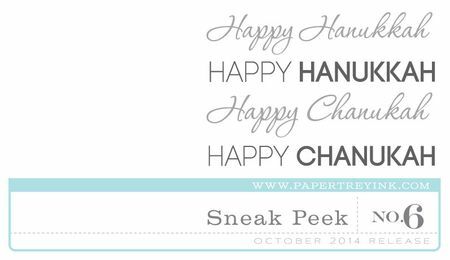 Now you can add a Keep It Simple set to your collection that features several font options to wish people "Happy Hanukkah"! The set showcases both spelling options (Hanukkah and Chanukah), each in four different fonts. This is the perfect size to coordinate with the images in the new set described above as well as other Hanukkah sets and dies we have released in the past! Yes, yes, yes!!! 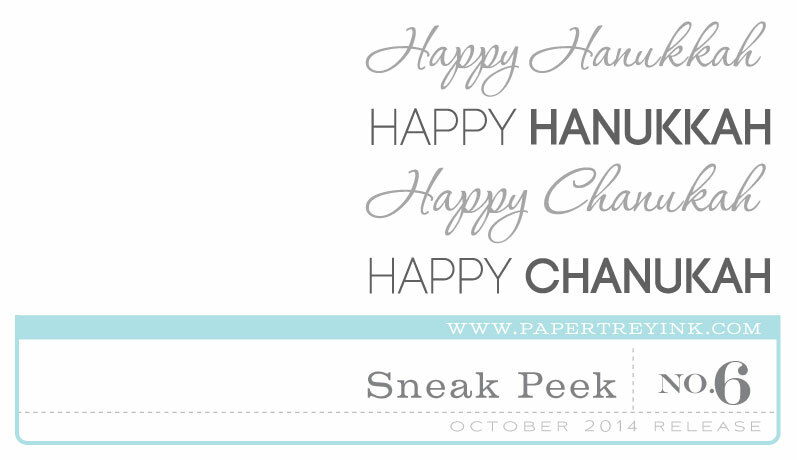 I’ve been waiting for more Jewish holiday sets…you made my day, I can’t wait to get my hands on them!!!! Me too, Oreet. Jewish holiday sentiments are so hard to come by.. Thanks for the Sneak Peek Papertrey Ink. These are definitely going on my wish list! Mistletoe!!! I love mistletoe : D.
It’s the most wonderful time of the….year! I’m not Jewish but I’m going to get it just for the sentiment! I simply adore the poinsettia and mistletoe stamps! You can never have too many of those right?! Love the poinsettia and mistletoe with saying. Looks like some great must have basics are coming our way! I love the Jewish holiday sets! They are definitely on my “buy” list. Love the mistletoe set, so fun!! Oh…that mistletoe! I love it! GREAT! Love the sentiment with the mistletoe! These are great sneak peaks! Am especially excited to see the two new mini Chanukah sets. The mistletoe and sentiment, great idea! Love the parade of loveliness! I think that the mistletoe is my favorite! The mistletoe is adorable, I love the verse that goes with it. Mistletoe, Love & Light…what more can one ask for? Beautiful peeks!!! 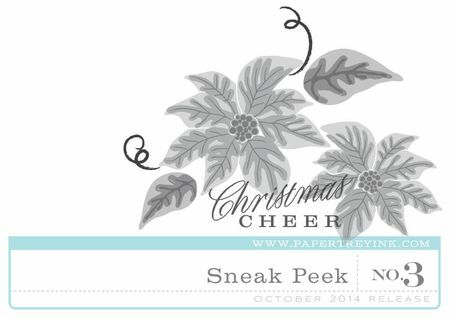 I cannot wait to see the poinsettia stamp set in full! Very surprised I did not see more comments on the beautiful love and light with the candles. I think of God’s blessings! Oh what fun! All these new sets are exciting! Love the Mistletoe poem, but I can imagine those candles lit and all sparkly! Pretty cool! So beautiful. Poinsettias (one of my favorites for Christmas) and romance too. A lovely sentiment also. Can’t wait to see more. Oh I love the Mistletoe. SWAK! I cant wait to see more of the poinsettia set. Love all the holiday stamps! Easy to see why PTI remains my favorite stamp club! So beautiful, I just love poinsettias. My favorite are yellow poinsettias, this set is going to be perfect for all the colors they come in. Love the Mistletoe and the Love & Light Shine, oh gosh…I like them all!! LOVE the Hannukah sets. LOVE LOVE LOVE. Thanks! Love, love, love the poinsettia and mistletoe!! These stamps are wonderful. Papertrey Ink never disappoints. Pretty pretty pretty! I need some poinsettias! Oh my I love the mistletoe! !My favorite! I am so grateful to you for making Chanukah stamps and dies available. I have not been able to find them anywhere else. In fact, I have even asked other stamp companies to make available some items for those of us who do not celebrate Christmas, to absolutely no avail. Hurrah for Papertrey! Poinsettias are always a favorite of mine. They are bright and look so pretty in lots of different colors. Layering makes them look so elegant. The mistletoe & sentiments will be a fun collection to spread love throughout the holiday season. Love love the berries and the candles!!! So stylish! Thanks for the Hanukkah stamp sets. My best friend is Jewish and I struggle to find something for her card each and every year. I don’t make Hanukkah cards but I think the candle image works for a lot of occasions and it’s beautiful!